I learn how a prescribed medication&apos;s side effects almost turned deadly. First, allow me to apologize for letting such a long period go between posts. I've been working on rewriting the code that underlies this website, as well as others I've written and new ones I'm working on. However, that should not have been such a lengthy chore. And the several posts I did start, I was unable to maintain my concentration long enough to complete. And then I began to get depressed and gave up[ on even starting one. And it turns out, this was all due to a supposedly low-impact medication I'd been prescribed: Gabapentin. It was about a year ago that my new doctor, with whom I had just shared the fact of the neuropathy in my right leg. decided to prescribe Gabapentin for it. I've had this condition since Navy boot camp graduation. There were a lot of "companies" (each company is a group of 80 guys going through boot camp together) graduating at once and it took time to get all of them into the graduation venue. We had to march in, and then stand at attention while the others followed. That took over an hour. Then we had to stand at attention while the audience filed in. That took an hour. 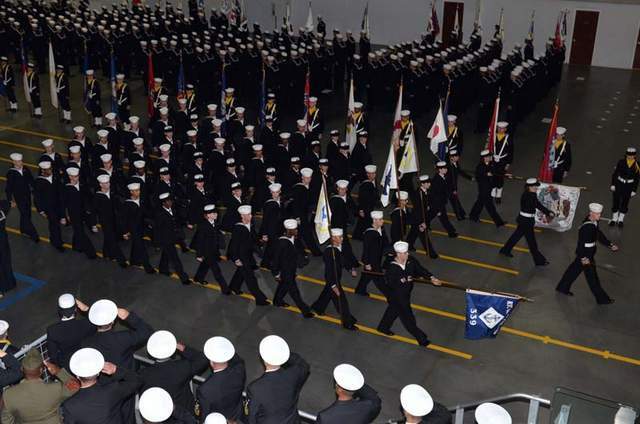 And then there was the ceremony itself, which included endless speeches and addresses by every minor functionary who'd ever had anything to do with boot camp, the Navy, or the US Government, plus a few who were there on a whim. We stood at attention for over four hours, before marching out of the venue. And it wasn't until after we'd left, that our company commander thought to mention that we shouldn't lock our knees if we are to stand at attention for more than, say, 20 minutes, to avoid leg problems. Within a few months, I began to notice a burning sensation along the outer side of my right thigh. At first it extended all the way to my foot, especially hurting if I was taking alternately standing still and then taking a few steps, as one does when shopping. This was the origin of my distaste for shopping in general. I told my doctors, of course. But none seemed to think it was anything to worry about. In time, the pain resolved into a constant numbness, which at least didn't hurt. So my entire outer right thigh is numb, so numb I can't feel a pin poked into it (or a cactus needle, if I am hiking). Plus now, after my adventure with necrotizing fasciitis in my left leg, the toes of my left foot plus the entire segment from knew to ankle where they had to remove all the skin and transplanted new skin, is also devoid of feeling, which I was told might very possibly never come back. So it was exciting to hear that there might be a new medicine that might restore sensation everywhere it was lacking. Gabapentin was originally approved by the U.S. Food and Drug Administration in December 1993, for use in controlling some seizures, especially when used in conjunction with other anti-seizure medicine. In 2004, its use was approved for treating post-herpetic neuropathic pain following shingles. However, it has many off-label uses as well, though these have not been thoroughly studied. These include treatment for bipolar disorder, migraines, insomnia, and anxiety. But the use of which Dr. White intended to take advantage, was Gabapentin's supposed ability to restore sensation to areas in which there has been neurological damage. Many cancer patients, he told me, are prescribed Gabapentin to minimize neuropathy stemming from the chemicals used in chemotherapy. I asked, of course, if I would be able to stop taking it safely (one can't, with many psychoactive drugs), and Dr. White assured me I could stop whenever I wanted. The original dose I was prescribed was one 300mg pill morning and another at night. On my next, follow-up, visit, I told Dr. White that I had, so far, felt no effects, for good or ill. So he had me increase the dose to three capsules in the morning, and three more in the evening. At that amount, I noticed one good effect: Previously, I had awakened two or three times a night to pee. Now, I was sleeping straight through the night. However, my numbness was unaffected. Meanwhile, a separate issue was coming up. Ever since my hospitalization for necrotizing fasciitis, I had noticed memory issues, which seemed to be caused by an anti-anxiety medicine, Ativan, that they gave me during my six months in the hospital. But instead of fading now that I no longer took it, my memory seemed to be getting worse. I have always prided myself on my ability to tell a story; but now I was having increasing lapses of memory that would occur while I was talking, so that I would completely forget what I was talking about. This also occurred while I was writing or programming, making a task that should have taken hours, take days. I also experienced increasing fuzziness in my thinking. Concentration seemed impossible to achieve. But I didn't associate any of this with the Gabapentin. I considered that I am simply getting older and perhaps I was experiencing "senior moments". I even considered Alzheimer's, although that doesn't run in my family. So when I made these complaints to Dr. White, he gave me a referral to a psychiatrist (who could test me for Alzheimer's) and, since my numbness had been unaffected, had me increase my dosage of Gabapentin to nine capsules a day: three in the morning, three with lunch, and three before bed. And he said that if there was no improvement with that, we could raise the dosage even higher. So when I kept missing the noon doses, and sometimes the evening dose, partly from being busy driving friends to their doctors and hospital visits (my job now that I'm "retired") and partly from simply forgetting, Dr. White had me take five in the morning and five at night, which I found it easier to manage. And so I took that dosage for many, many months. Since March, in fact. (March 31 was the date of my last post before this one.) 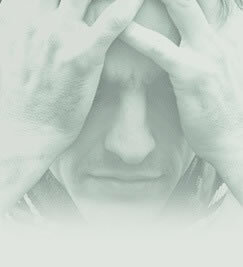 But, despite the good effect of sleeping through the night, my numbness remained unaffected. And my memory got worse and worse, and my ability to concentrate was so severe I began to despair of ever being able to write, much less program, ever again. I could manage brief Facebook status posts, but that was about it. Finally, about two weeks ago, after going through a bout of depression that had me about as low as I've ever been—not considering suicide, too many people depend on me—but if I hadn't had those responsibilities, who knows? Now, I make it a rule not to read up on a drug's side effects before I take it, because I tend to manifest every symptom I read. (When I first read the post-apocalyptic classic On The Beach I came down with most of the symptoms of radiation poisoning.) But, for some reason, as I sat on my porch trying to let the view of the lake cheer me, I thought it was probably time to check out Gabapentin's side effects. Then there was the night my roommate found me unconscious on the bathroom floor. I had felt faint and lowered myself to the floor quickly before I blacked out, to avoid injury. But, still. It turns out that fainting is on the list. But worse, the list of side effects, which itself was so long that if I'd known I'd have nixed this medication at the start, included specific symptoms that I already had before taking it: Swelling of my right ankle (a leftover from all the surgeries I had), and low libido (not uncommon in men my age). The Gabapentin had apparently made the swelling even more pronounced, and I now had the libido of a bowl of cottage cheese. So I stopped taking it. Cold turkey, as Dr. White had assured me I could do. But then I couldn't sleep, not even with the assistance of other medications. I kept waking up, even more often than I used to. So I looked up stopping Gabapentin. Ye gods, they were worse than the side effects of taking it! Because of the nature of the drug, regular use of Neurontin [the generic name for Gabapentin] can build the levels in the bloodstream in such a way that the body adapts to this constant supply. When you don’t give it what it is used to there are a number of specific and potentially severe Gabapentin withdrawal symptoms that are similar to alcohol or benzodiazepine withdrawals. Some of these symptoms to be aware of include insomnia, anxiety, disorientation, sensitivity to light, headaches, heart palpitations, hypertension, flu like symptoms, and chest pain. So I resumed it, and contacted Dr. White for an appointment, during which I was somewhat confrontational—another side effect!—and got his directions for titrating down safely, although at this point I'm not sure I trust him—another side effect! But for the past week, I have been taking half my previous dose, just five capsules before bed. And already my mood has changed for the better, and the fact that I've been able to write this in just about three hours, despite interruptions from my roommate, is a good sign that the Gabapentin was, indeed, responsible for my inability to concentrate. And my memory lapses have now reduced about 90%, leaving just a few incidents that could, indeed, be ascribed to "senior moments". Dr. White told me I could reduce my dosage by a pill a day, but I have decided to go more slowly, and reduce the dosage by one capsule every two weeks, while I closely monitor changes in my memory, mood, and of course numbness, although my numbness, with which I have lived over three decades, was never as severe as the side effects of the supposed cure have been. 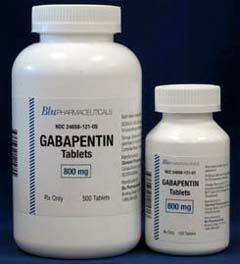 I know a lot of people who take Gabapentin without problem. They tend to be on lower doses than I am. But if you are taking this medication, and any of what I've written here strikes a chord with you, I encourage you to follow the links here so you can monitor your own situation with (possibly reddened) eyes wide open.